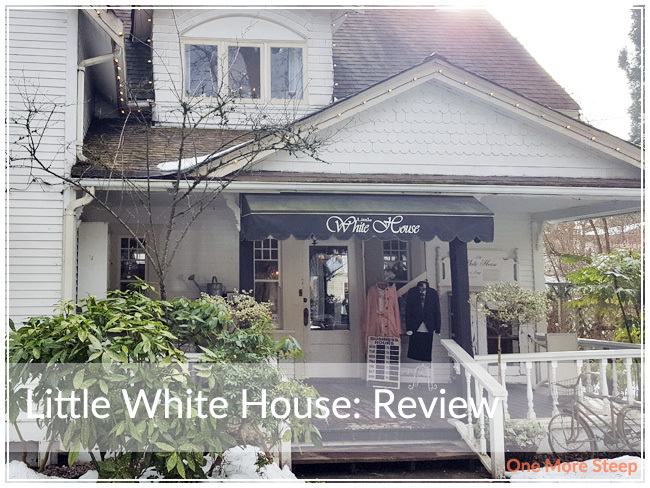 I must confess, this is not the first time that I’ve been to the Little White House in Fort Langley. I’ve been there a handful of times with parties as large as 8-10 and as small as 2. 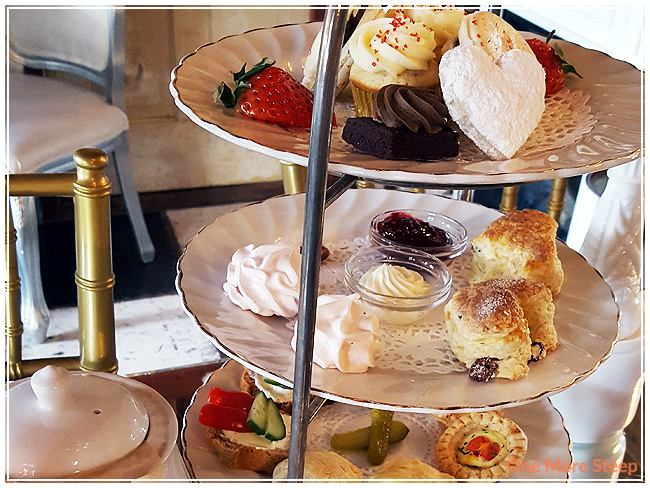 Last week on Valentine’s Day, I went with a friend and we opted for the special Valentine’s Day High Tea. As per their Salon Cafe menu, there are three options for afternoon tea. The standard with their Crème de la Earl Grey tea is $22, with champagne (along with the tea) is $30, and the Alice in Wonderland tea (for children) is $12. Along with afternoon tea, there’s also options for brunch, lunch, and to buy sweets separately. I’ve always opted for the afternoon tea. There’s just something about having afternoon tea that makes me feel like I’m living a decadent lifestyle. Little White House is a historical building that was built in 1910. The house itself consists of the salon cafe, and boutique shopping on the main and upper levels of the heritage building. Parking can be a bit difficult to find in the area, as there’s limited street parking and limited parking in the Little White House parking lot. The table settings were all ready for us when we arrived. We made reservations for fairly early on in the day, so there was no wait time between arrival and being seated. 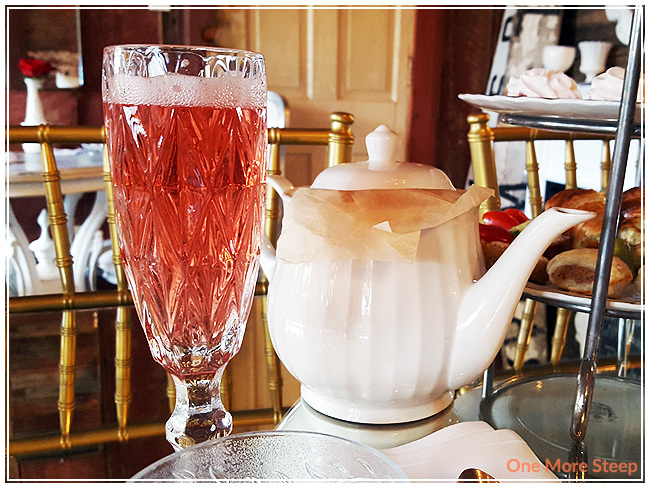 As my friend and I had opted for the $30 Valentine’s Day High Tea, this option came with the champagne and the tea. The champagne was a strawberry champagne, that was quite bubbly. I’m not a terribly big fan of champagne, so I only had a few sips of mine. We received one tea pot of the Crème de la Earl Grey to share between the two of us. When the tea pot arrived, we were told to allow it to steep “a bit longer” prior to pouring. A tea timer would have been a nice touch to know how much longer the tea had to steep. Our tea goodies arrived on three tiers. Savories on the bottom, sweets at the top. On the bottom are the savoury items. 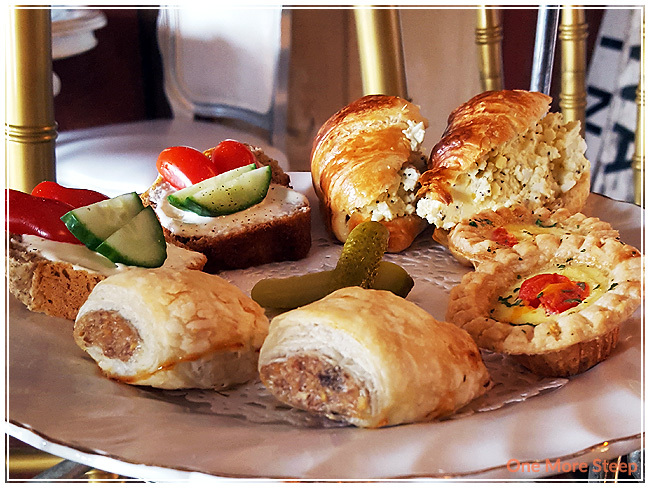 There are open face sandwiches (with grape tomatoes, cucumber), croissant sandwiches (with egg salad), quiche, flakey rolls, and pickles. My favourites on this bottom tier were the quiche and the croissant sandwiches. The croissants were buttery and flakey – everything I love in a good croissant! And the quiche were warm, eggy, and tasted like they were freshly baked. On the second tier were heart-shaped raisin scones, meringues, devonshire cream, raspberry preserves, and candied almonds. 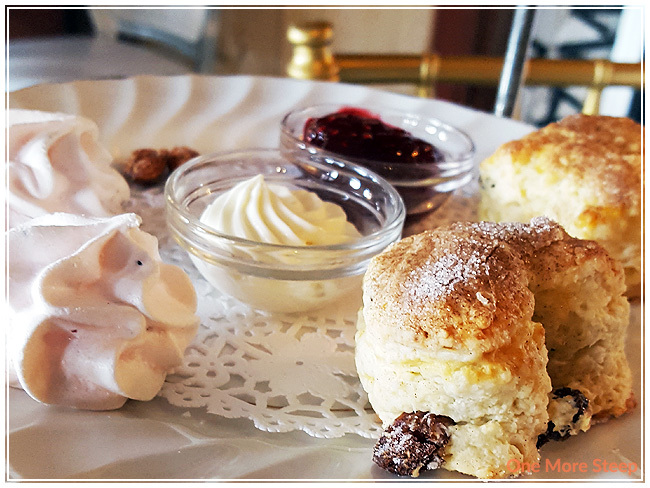 The raisin scones were definitely the star of this tier – and were matched beautifully with the devonshire cream and raspberry preserves. The raspberry flavour was top-notch and I definitely enjoyed devouring the scone. The meringues were sweet, light, and airy – I love meringues and these were delicious. And then there’s the top tier! 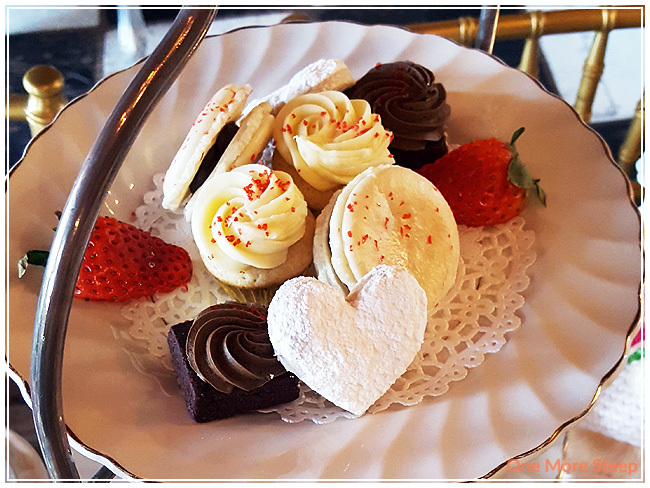 This layer had heart-shaped sugar cookies (covered with powdered sugar), a very rich chocolate cake square, cute cupcakes with what tasted like a buttercream frosting, macarons with a chocolate filling, and sliced strawberry halves. My favourites on this tier were the macaron and the mini cupcakes. My least favourite was the chocolate cake square – it was very rich and sweet to the point it almost made my teeth hurt! As mentioned, the tea is Crème de la Earl Grey – a black tea. It has a light Bergamot flavouring to it, I added sugar and cream to mine as that’s how I prefer my Earl Grey. It’s a fairly solid Earl Grey, it had a nice creaminess to it before I had added cream. A tea timer on the table would have been beneficial to prevent the tea from over steeping. We had our tea pot refilled once, and the flavours were still decently strong for the second steep. I adore the Little White House. There’s just something beautiful about having afternoon tea in a heritage building that has been lovingly kept up. 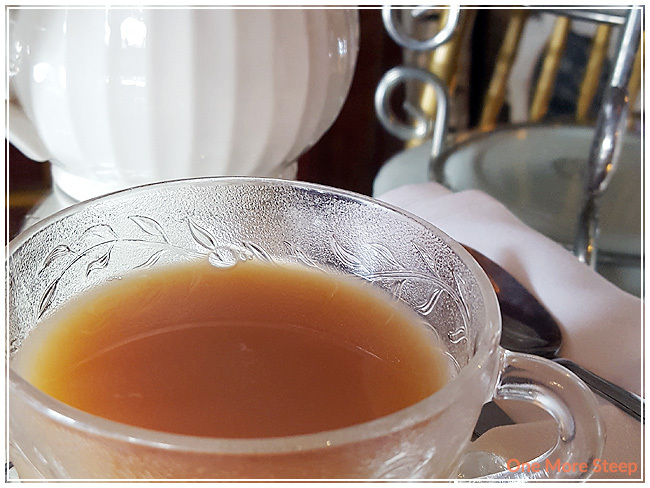 The delights that come with afternoon tea are well put together as well as being delicious, and the tea itself is a solid black tea. I love the aesthetics of the building itself, and the charm that comes with having afternoon tea in a lovely location. 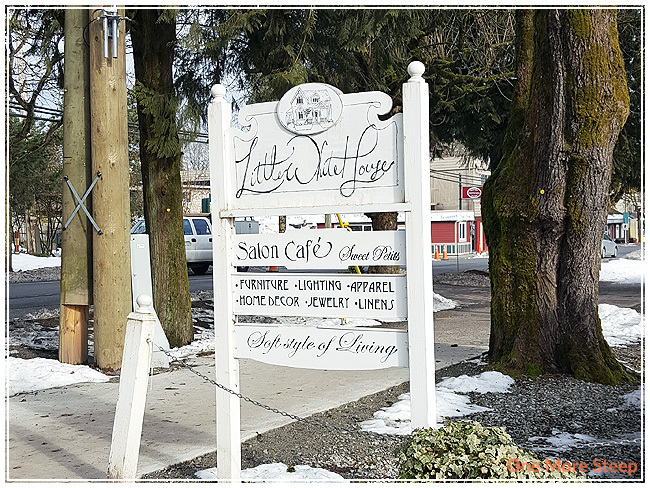 The Little White House is definitely a great place to go for afternoon tea, as well as being a great place for taking photos if that is your thing. I’ll definitely be back again as I enjoy being there so much. 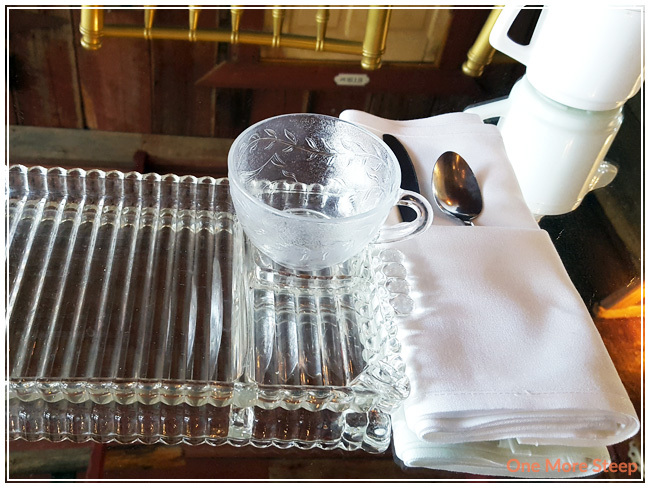 As an aside from my review of the Little White House’s afternoon tea, the other sections of the Little White House consist of the retail area – they utilized the various original rooms to showcase various goods that can be purchased. I think that the set-up is darling, but it’s also not for the faint of heart. 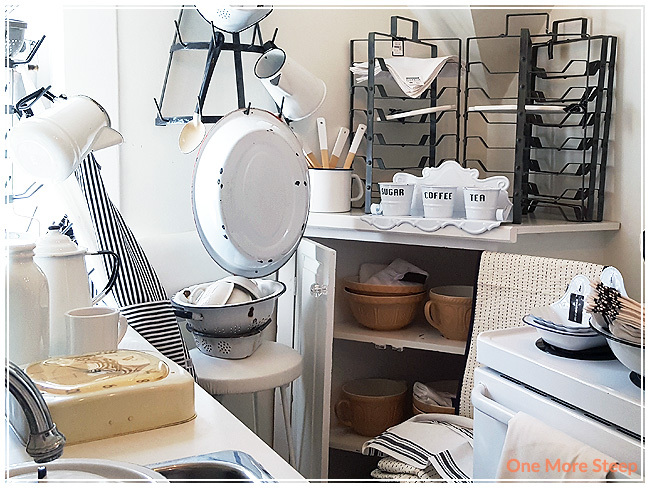 Everything is very beautiful, and most things are priced accordingly in this boutique shop. It’s definitely not the reason why I go there – although it is fun to look through the beautiful clothes and other things that I can hardly afford. The tea bucket is hardly big enough for how much tea I drink in a week, let alone my entire tea stash.